Advocated for the United States to adopt more generous policies in welcoming those who are among the world’s most vulnerable people, through newspaper articles and outreach to legislators. Hope was separated from her father when she was one year of age. Dominique, known to his close friends as “Tony”, was part of a peace-keeping force in his home country, the Democratic Republic of the Congo in western Africa. With the onset of a civil war, Tony received several death threats. After being severely beaten, he managed to escape his war-torn country and find safety in Europe before seeking political asylum in the United States. Tony has been very fortunate to secure employment with Habitat for Humanity and has won the love and support of many. Learning of his story and the plight of his wife and daughter has inspired this campaign to help reunite Tony, his wife Joelle and daughter Hope. These last 4 years have been tumultuous for the entire family, who has spent much of these years apart. 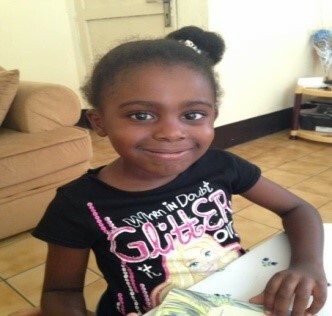 Hope has been residing with her grandparents, but this five year old child just longs to be with her parents. Hope speaks with her father daily by Skype. She continually begs to see her parents again and cannot fully comprehend why she is living apart from them. Adults have the ability to choose their beliefs and are ready to suffer the consequences of these decisions. Children however, do not understand and seek only the love they have lost. Hope and her grandmother have an invitation to visit the United States; however, the process to obtain their Visas requires proof of funds to purchase airplane tickets, and funds for living expenses while in the United States. Hope’s grandparents do not have these funds. For the second year, the Nauset Interfaith Association is looking for volunteer hosts for refugee families from the Worcester area for a weekend on Cape Cod. The two weekend dates are July 13 – 15 and August 10 – 12. For more information, please contact Fr. Ken Campbell, ksbcampbell@verizon. net or 413-478-5719. With sincere gratitude for your kindness.